Happy NAIDOC Week – Get Involved! To Celebrate NAIDOC Week, Metro Screen would like to share these deadly events and content with you, get involved. This is a time to celebrate the history, culture and achievements of Aboriginal and Torres Strait Islander peoples. This year’s theme celebrates the 50th anniversary of the presentation of the Yirrkala Bark Petitions to the Federal Parliament. Check out the Local NAIDOC Events Calendar to find out what’s on near you. If you are Indigenous and would like to tell deadly stories on TV or make films, you need to come along to the free information session at Metro Screen 6 August. Register your name to find out more about free courses, funding opportunities and tips. Metro Screen Connect events brings you a double bill featuring an Open House information session followed by a special presentation on Brand Storytelling and the future of marketing by Jamie Engel (Billy Blue College, General Assembly). Register for this expert talk and open house info session 24 July. Metro Screen Connect events brings you a double bill featuring an Open House information session followed by a special presentation on Film Festival Strategy by Rich Warren – Program coordinator at the BAFTA and Academy Award qualifying Encounters Short Film and Animation Festival UK. Register for this expert talk and open house info session 21 August. Lights, Camera, Action! Tropfest 2013 Calling For Entries where the winner will take home a new Toyota, $10,000, a Nikon DSLR filmmakers kit and a trip to LA! Budding and experienced filmmakers are invited to take part in Australia’s most prestigious short film festival. Entries for Tropfest officially open on 15 August and close on 10 October 2013. Developing, producing and gaining investment for interactive multiplatform stories. The digital age has opened the doors to creative possibilities embracing new revenue streams, audiences and immersive experiences. It has also created new challenges in the way we produce stories across multiple platforms. Our industry professionals will walk you through the necessary considerations for developing, producing and gaining investment for interactive multiplatform stories, using lots of case studies including: ‘Precinct 13 for NBC/Universal’ and ‘Storm Surfers’, plus funding body reps will provide valuable insider insights. 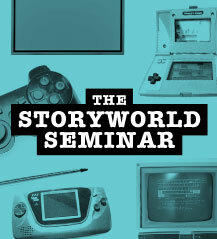 Register for the subsidized Storyworld Seminar 9 August at the Chauvel Cinemas. 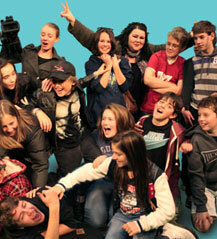 This advanced 2 day workshop is a great chance for kids aged 11-15 years old to create short films for TropJr and potentially kick start a creative career in filmmaking. Students are encouraged to bring with them ideas for short films or a script that may be selected for production over the course of the workshop. Each student will have the chance to write, act, shoot, light, direct, edit, add a sound track and produce a TropJr short film project. Be a great cameraman, improve your cinematography skills and knowledge of the role of the DOP, during this highly practical short course. In just 4 sessions you’ll learn to create mood and style using camera and lighting techniques. You can’t take these practical exercises online. In a small class with plenty of professional camera and lighting gear, you will learn how to light a scene for a studio or on location as well as framing and camera movement. The Metro Screen sound stage production studio is equipped with a curved chroma key green cyclorama, black curtains and lighting grid with 3 phase power (30 amp). It can also be turned into a white photographic studio. Lighting rigs are permanently installed in-house controlled through a dmx console including 3 x 1000w fresnels, 4 x 170w soft spots, 2 x 660w fill lights and 6 x 110w cyc lights. Conveniently located in the Eastern suburbs you'll have access to a large reception area, kitchen, make-up green room, viewing window and fast Wifi. 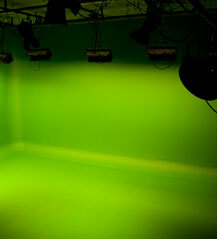 The studio is 10m Wide X 8.5m Deep x 4m High with a Chroma Key Area 8.5m Wide x 5m Deep x 4m High. Professional camera operators and support crew are available for all size projects. Work on a new Indigenous television series in Western Sydney at TVS, this is paid position. The Tropfest 2013 winner will take home a new Toyota, $10,000, a Nikon DSLR filmmakers kit and a trip to LA! Budding and experienced filmmakers are invited to take part in Australia’s most prestigious short film festival. Entries for Tropfest officially open on 15 August and close on 10 October 2013. Watch one of the most influential Korean films ever made on the big screen and remember why we all hold it in our hearts so dearly. An evening simply not to miss, celebrate the 100th Korean Film Night & Party. PACT is proud to present the Sydney extension of exist-ence 5 a festival of live art, action art and performance art 19 – 20 July. Over two nights join PACT for artist talks, discussion and performances by local, interstate and international artists. Ray Kurzweil and the Singularity, written, created and directed by Metro Screen alumni Lew Keilar, will screen at DC Shorts Film Festival. It’s one of 140 short films chosen from 1200 US and international entries. Last year The Feds were selected to make a Pilot for MTV International. Josh Logue came up with a concept for a 1hr Documentary series called The New Crowd. The Feds were the first production company outside of the UK awarded a pilot commission from MTV International. Nicholas Winding Refn (Drive) directs this stylish east-meets-west thriller, set in the back alleys of Bangkok’s criminal underworld. Julian (Ryan Gosling) runs a Thai boxing club in Bangkok, as a front for his drug business.